Yana was born in the Philippines on the Panay Island, in a city called Iloilo. She later moved to LA at the age of 20 and to NYC 7 years after that. It was in New York, where her true passion was discovered. Even after 10 years and 2 coasts, Yana still craved what home tastes like. 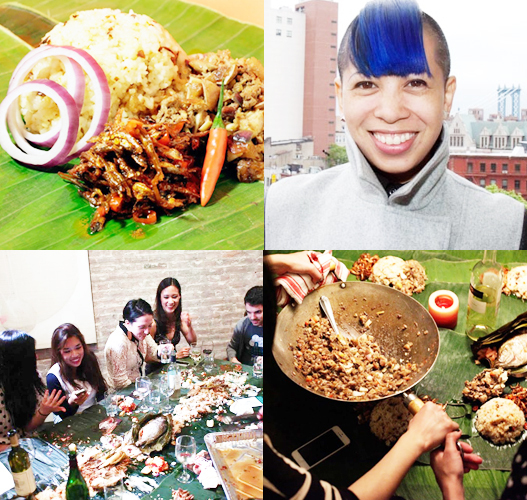 So she decided to recreate them by hosting underground dinners featuring the flavors of all three regions of the Philippines: Luzon, Visayas and Mindanao. Yana is a self-taught chef. For Yana, cooking was therapy and an adventure -- it was another venue to explore creativity. Growing up as an only child, her childhood revolved around the kitchen with her aunt and grandma who loved to cook. They say smell is the strongest sense that triggers one’s memories; so she strove to re-create and innovate the flavors of her island through ready and accessible ingredients --keeping it as close to “home” yet local and seasonal. For this project, Yana gave up her lease in Brooklyn, sold all of her belongings and whittled it down to one backpack and her knives, actively seeking local chefs, farmers and artisans she can collaborate within her 50-state, 50- week journey. The SALO Project is a series of Traveling Underground Pop-up Dinners featuring Regional Filipino Cuisine touring to the 50 States of America over the course of 50 weeks. During the Womensphere Festival, Yana will be creating a pop-up feast for the Womensphere community and friends! SALO, in my native language of Tagalog, is a derivative of the word "Salu-salo" meaning big party or gathering. SALO, with a different pronunciation, may mean "catch". Hence, my tagline: To Catch and To Gather.SALO is presented in a way that many Filipinos, including myself, enjoy Filipino food: “Kamayan” Style. Kamayan means to eat with your hands. Food is served on banana leaves without utensils, heaped in a pile in the middle of the table and everyone sits around and digs in. I believe food tastes so much better when your taste buds are coupled with your tactile senses and you are sharing the experience with other people. There's a direct relationship with the food and its consumers.